最近工作壓力很大，明明已經十分疲倦，但晚上總不能入睡，該怎麼辦? I am very stressed these day, obviously very tired, but I can’t get into sleep, what should I do? Mix the ingredients and above, and its good to go. 如想令辦公室工作環境空氣清新一點，可用那些香薰？Which essential oil blend can freshen up my office? This blend can play as both air refresher and insect repellent. 那種香薰有助舒緩鼻敏感? Which essential oil can sooth nasal allergies? 每天晚上我都用風筒把頭髮吹乾，髮質變得乾旱，毛燥嚴重，請問有什麼改善方法？I blow dry my hair every night, so my hair now is dry and frizzy. What should I do? 最近受牙痛之苦，影響日常生活及進食，使用香薰可舒緩痛楚嗎？ I have toothache recently which affects my daily diet, will essential oil helps? 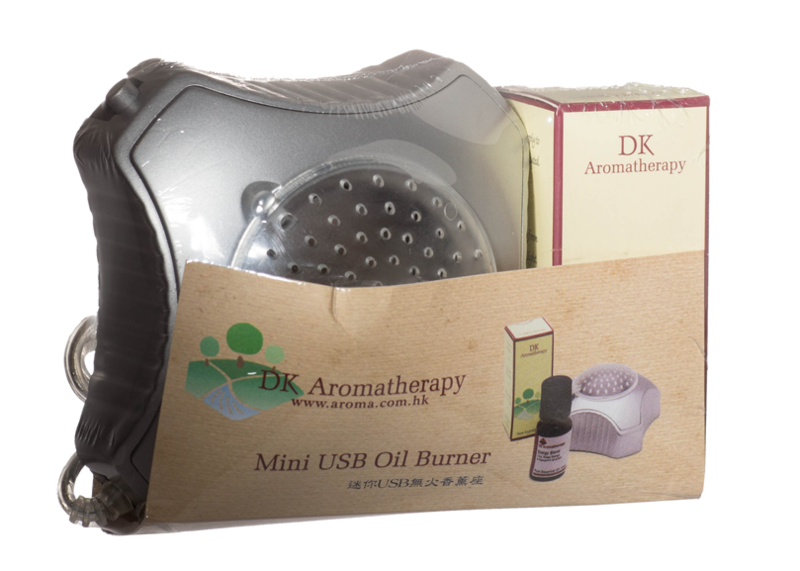 From now till 30Nov15, our USB burner will offered at special price $198 (Original: $298). 我想蒸薰甜美快樂的氣味，有何推介? Any recommendation for a sweet and happy blend?